Here in the Philippines, the so-called restoration of freedom saw the popping out like mushrooms of local non-governmental organizations (NGOs) with the newly-created CIA front called “NED” leading in guiding the government it installed to power. The CIA too had to shed off some of its covert activities by making itself “transparent.” Through the NED, local NGOs openly collaborated with the government it held by the noose, with each having a specialized task to “motivate” people in the various sectors of civil society. As posted in the internet, its officers are: Sixto Donato C. Macasaet, Executive Director; Roselle Rasay, Deputy Executive Director; Rowena Caverte, Finance & Admin Manager; and Tanya Zaldarriaga, Program Officer for Membership. Other officers listed were Jet Pacapac, Celia Fatima de Jesus, Dimple Labios-Demata, Emmanuel Opiña, Paul Richard Paraguya, Sandino Soliman, Deanie Lyn Ocampo, Florencia Racca, Cecilia Delfin, Mariefe Del Mundo, Dan Christian Ramos, Christine Ann De Villa, and, Carissa Galla. The report also states that CODE-NGO in 2012 received a grant from NED $63,419 and $87,300 in 2011. This is the same NGO that was behind the scheme to float the government PEACe bond in 2001 to secure public loan at a staggering amount of P10 billion to a pre-arranged bank. For inexplicable reason, said loan was piously complied with by this pretending-to-be honest government for which it paid the full amount of P35 billion in 2012. The CMFR officers are: Melinda Quintos de Jesus, Executive Director; Prof. Luis V. Teodoro, Deputy Director; and the members of the Board of Trustees are: Melinda Quintos de Jesus; Luis V. Teodoro; Maria Isabel G. Ongpin; Tina Monzon Palma; Vergel O. Santos; Carlos H. Conde; and Lorna Kalaw-Tirol. Leaders of the press community and CSOs in the Philippines who served in the Board previously include: Dr. Jose Abueva, Dr. Lydia Balatbat-Echauz, Fr. Joaquin Bernas, S.J., Mr. Santiago Dumlao Jr., Atty. Fulgencio Factoran Jr., and Paulynn Paredes Sicam. In 2011, CMFRI received a grant of $79,000 and $76,000 in 2012 from NED. Listed as founding trustees of INCITEGov are: Florencio “Butch” Abad; Emilia “Emy” Boncodin (deceased); Teresita “Ging” Quintos-Deles; Victoria “Vicky” Garchitorena; Jose Luis “Chito” Gascon; Alberto “Bert” Lina; Imelda “Mely” Nicolas; Guillermo “Willie” Parayno, Jr.; Cesar Purisima; Juan “Johnny” Santos; Corazon “Dinky” Juliano-Soliman and Rene Villa. Its Executive officers are: Maxine Tanya Hamada, Paola Deles, Johanna Delos Reyes, Janice Almine, May Ann Chu, Cecilia Oleza, Dion Lorenz Romano, and, Josielyn Linga. In 2012, INCITEGov received a grant of $90,000 and $100,000 in 2011 from NED. Fourth is the Legal Network for Truthful Elections Inc. or LENTE. Its avowed purpose is “to protect the credibility of the electoral process. To realize that objective, it encouraged the support of citizens’ participation in promoting free and fair elections in the Philippines. Local chapters also conduct monitoring before, during, and after the election, focusing on a range of issues including illegal campaigning, disenfranchisement, vote buying and selling, and political violence. The Co-Convenors are Atty. Jose Vicente B. Salazar, National President of the Integrated Bar of the Philippines, and Atty. Carlos P. Medina, Jr., Chief Legal Counsel of One Voice and Executive Director of the Ateneo Human Rights Center. 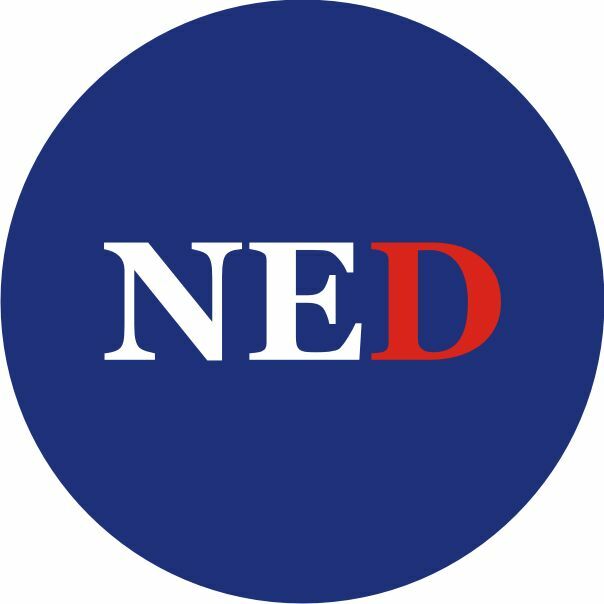 In 2013, it received a grant of $47,000 from NED. The Board of Editors are: David Celdran, Chairman; Howie G. Severino, Vice Chairman, Malou Mangahas, Secretary/Executive Director; Dominick NA Danao, Treasurer; members: Sheila S. Coronel (Founding Executive Director) and Cecile C.A. Balgos. In 2013, PCIJ received a grant of $50,000 from NED. After the people became suspicious of the PCIJ’s line of investigative journalism; that corruption appears to be a monopoly of people not identified with the yellow government, while sanitizing the elite and the oligarchy, a new news network was organized. The appearance of Rappler, a media organization intended to cater to internet users, elicited the same question as to who might be funding the new media outfit that seems to enjoy the privilege of having access to confidential government files often not accorded to ordinary news organizations. Sixth, the Ateneo School of Government. Its objective is “to encourage political engagement among the Filipino youth in civic life. It also serves as the secretariat for the Pugadlawin network, develop training modules on political processes and accountability, coordinate a political immersion project, and conduct network strengthening activities.” The members of the board of directors are: Victor S. Claravall; Grace Camacho-De Jesus; Joyce Christine A. Castillo; Ma. Lourdes Flores-Mercado; Julia Cristina A. Morata; Roderick R. Torres; Richard Ryan Caluya; Ronald Allan L. Cruz; Rhett Francis M. Mallen; Philipp M. Gotico; Eduard Edwynn D. Capacio; Maria Asumcion P. Fider; and. Joseph Andrew C. Serafica. In 2011, it received a grant of $56,209 from NED. Seventh, the Center for International Private Enterprise (CIPE). Its objective is “to promote the understanding and implementation of corporate governance among publicly-listed and non-public firms in the Philippines.” In 2011, CIPI in partnership with the Institute for Corporate Directors (ICD) scored and ranked firms from the various sectors based on their compliance with corporate governance standards. For that it received a grant $147,164 from NED. That same year, CIPE and the Asian Institute of Management held a series of anti-corruption train-the-trainers workshops, develop online anti-corruption training modules on business ethics, and organized an integrity and accountability conference for small and medium sized enterprises. It received $240,760 in grant from NED. Likewise, “CIPE and ISA endeavored to expand the network committed to reducing corruption and implementing good governance, with a particular focus on low-income local governments.” For that, CIPE received a grant of $241,941 from NED. Similarly, the computerization of our electoral system which began as an advocacy of those NGOs having closed links with NED resulted instead in wholesale electoral fraud. Computerization deprived our voters their “election receipts” they could present as evidence of massive fraud and electoral cheating. Having conditioned that computerization could result in a clean, fair and honest election, they were not however informed that from thereon it will be those in control of the PCOS machines that will decide who should win in their pre-ordained electoral system. Some say corruption and abuses would not have happened had the Cory-sponsored 1987 Constitution not extended to those NGOs extraordinary privileges. The role of the NGOs is specifically provided in Section 23, Article II, of the Constitution. Their role has been reinforced in Sections 15 and 16, Article XIII of the same Constitution. As a result, it is estimated that the number of NGOs registered today is around 50,000 to 100,000. This column is particularly appalled at the tax exemptions given to NGOs under Section 30 of the National Internal Revenue Code. This explains why foundations, being in the category of as NGOs, have scandalously proliferated. Notably, every leading corporation has its own NGO. Despite the fact that all are one way or the other claim to assist in the eradication of poverty, poverty continues to spread. Contrary to their avowed objectives in helping the government resolve some of its pressing problems in poverty, education, healthcare, housing, organizing of cottage industries, concern for the environment, etc., only a very few lived up their avowed objectives. On the contrary, many of these corporate foundations are being used as tax shelters to secure deductions in their payment of corporate income tax all in the guise that they are doing some kind of charitable and philanthropic work for our people. Through these corporate foundations, leading corporations are able to easily transfer some of their income to their foundations, which fall in the category of non stock corporations. Their existence has been pointed to by one sociologist as the reason for the rapid widening in the chasm between the rich and the poor in this country. Among the familiar members of the League of Corporate Foundations, and they are: 1) Aboitiz Foundation; 2) ABS-CBN Foundation; 3) AES Philippines Power Foundation; 4) AMY Foundation; 5) The Andres Soriano Foundation; 6) Ang Hortaleza Foundation; 7) Antonio O. Florendo Foundation; 8) Ayala Foundation; 9) Bato-Balani Foundation; 10) Bonifacio Art Foundation; 11) BPI Foundation; 12) Cebuana Lhuillier Foundation; 13) Cemex Philippines Foundation; 14) Chevron Philippines; 15) Coca-Cola Foundation Philippines; 16) Del Monte Foundation; 17) Energy Development Corporation; 18) Foundation for Sight; 19) Globe Telecom; 20) GT-Metro Foundation, Inc.; 21) Hari Foundation; 22) Holcim Philippines, Inc.; 23) Hongkong and Shanghai Banking Corporation Limited; 24) ICCP Group Foundation; 25) Insular Foundation; 26) Jesus V. Del Rosario Foundation; 27) Johnson& Johnson Philippines; 28) Jollibee Group Foundation; 29) Knowledge Channel Foundation; 30) Landbank Countryside Development Foundation; 31) LCC Foundation; 32) Lopez Group Foundation; Manila Doctors Hospital; 33) Manila Water Foundation; 34) Merck Sharp & Dohme Philippines; 35) MetroBank Foundation; 36) MFI Foundation; 37) Mondelez International; 38) Nestle Philippines; 39) NYK-TDG Friendship Foundation; 40) One Meralco Foundation; 41) PAL Foundation; 42) Pasar Foundation; 43) Petron Foundation; 44) Pfizer Philippines Foundation; 45) Philippine Geothermal Production Company; 46) PHAPCARES Foundation; 47) PHILAM Foundation; 48) Philippine Daily Inquirer; 49) Philippine Transmarine Carriers, Inc.- Carlos Salina, Jr. Foundation; 50) PHINMA Foundation; 51) Pilipinas Shell Foundation; 52) Pioneer Foundation; 53) PLDT-Smart Foundation; 54) RD Foundation; 55) RMF Foundation; 56) Ronal McDonald House Charities; 57) Roxas Foundation; 58) San Miguel Foundation; 59) San Roque Power Foundation; 60) Security Bank Foundation; 61) SGV Foundation; 62) SM Foundation; 63) SPI Global Foundation, Inc.; 64) STI Foundation; 65) Tan Yan Kee Foundation; 66) Team Energy Foundation; 67) TEAMASIA; 68) Telus Philippines; 69) Toyota Motor Philippine Foundation; 70) Travellers International Hotel Group, Inc.; 71) UCPB-CIIF Foundation; 72) UnionBank of the Philippines; 73) VICSAL Foundation; 74) Villar Foundation; 75) The Zuellig Family Foundation.